Last week I attended the one-day ebooks 2013 conference at UCL. The theme was new models, opportunities and tools, and I was keen to hear about new developments in the ever-changing world of ebooks. The event started with a talk by Lorraine Estelle, CEO of JISC Collections. She queried the use of terminology from the print world; it’s about e-access not e-lending, since students don’t see using ebooks as borrowing. Recommendations from the recent DCMS review of e-lending in public libraries included creating ‘frictions’ by limiting loans to one at a time, and seeing ebooks as deteriorating and needing to be repurchased. 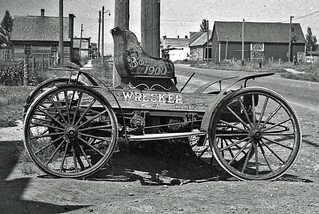 Lorraine argued that this is an old paradigm and compared it to a horseless carriage being limited to 5 mph and buying it hay. Lorraine’s next point was that £9000 student fees are a lot of money, and there is a need to meet student expectations. Coventry University tell students they don’t have to pay anything on top of this as the library provides each student with a copy of the textbooks needed for their first year. Print books were distributed last year, but they are trialling a small number of digital textbooks next year. Lorraine said that technology is the new opportunity here, and cited a presentation given at UKSG earlier in the year by paperless medical student Joshua Harding who integrates all his notes and books on his ipad. In terms of new models, we are seeing the institution as textbook publisher with MOOCs (Massive Open Online Courses) and OERs (Online Educational Resources). Institutions make it, give it away free to their students and sell to others. Issues remain about how to reward the authors, and the investment and expertise needed, however it provides an opportunity to be innovative and come up with interactive content. Next, Brian Hole from Ubiquity Press (a researcher-led scholarly open access publisher) gave a presentation about open access and scholarly publishing, explaining the Ubiquity Press model and giving examples of benefits offered by open access. He made the point that the social contract of science is to disseminate, validate, and allow further development. If you don’t do this it’s scientific malpractice. Richard Wallis from OCLC then gave an interesting presentation about linked data for ebook discovery. Libraries no longer have a monopoly as the place to go for information, as most students now start their search with Google not the library catalogue. Libraries therefore need to be visible on the web of data so search engines can point people to their resources. Connections have been created in WorldCat using schema.org as this is the language used by major search engines like Google and Bing. For example the Facebook app for searching WorldCat brings in information from Wikipedia about the author. Libraries need to move from cataloguing to catalinking (in the words of Eric Miller), for example instead of copying and pasting an author spelling from an authority, we should link to the authority. Richard made the point that if we don’t do it the web will move on without us. Robert Faber from Oxford University Press (OUP) talked about discoverability of content using Oxford Index as a case study. This site has standardised description in one place at item level and creates links and relationships across OUP content via overview pages and links to content. The web interface allows users to search across all OUP content. Robert mentioned the challenge of getting everything in one place, and using a taxonomy across OUP for the first time. Will Russell from Royal Society of Chemistry commented that the future is multi-device and explained some of the ways RSC are delivering chemistry to their mobile audience. Innovative-sounding ideas include ChemGoggles which allows you to take a picture on your device of a chemical structure to receive information about the structure, or ChemSpider mobile app which allows to you draw a chemical structure and find out about it. E-textbooks were a big theme, with Jeni Evans from VitalSource and Andy Alferovs from Kortext both giving presentations about them. Models allow e-textbooks to be used on multiple devices per student. They can be used online and downloaded for offline use and are accessible to braille readers and text to speech. Increasingly universities are embedding e-textbooks into their VLEs so that when a student logs into the VLE they see all the e-textbooks for their course. With EPUB 3 interactive content like quizzes can be synchronised across all the student’s devices. What I found interesting about Andy’s presentation was his discussion of a progress bursary management scheme at University of East London to combat student retention problems. Students were given smartcards pre-loaded with money that could be spent on books and/or laptops, with one core e-textbook for each student already purchased with the smartcard. Andy presented a table showing correlation of spend on textbooks and class of degree obtained. Caren Milloy from JISC Collections talked about the OAPEN Project. Their primary aim is discoverability as it was realised that many of the open access books in the project were not clearly marked as open access. For example in Google searches for a book the first two results are usually Amazon and the publisher website, which often included price information and no link to the open access version. Caren talked about using the Crossmark identification service as a way to quality assure open access books and ensure that you are looking at the most up to date version e.g. if errata have been added. The record tab could also be used for recording DOI, OA fee, peer review, publication history, licence information. Nick Canty from UCL Centre for Publishing delivered an interesting talk about social media and libraries. He gathered data in July-August 2012 from 6 national libraries: British Library (BL), Library of Congress (LC), Biblioteca Nacional de Espana (BNE), Bibliotheque national de France (BNF), National Library of Australia (NLA), National Library of Scotland (NLS). Nick stressed the need to evaluate positive outcomes rather than number of followers, likes or retweets as these quantitative measures don’t necessarily reflect engagement. As an example he cited a high-street women’s clothing retailer’s campaign to gain more Facebook likes – they did receive more likes, but many were not from potential customers. A social media explanatory page listing the library’s official social media accounts is useful if there are fake accounts out there. Some imaginative uses of social media include competitions run by NLS on Facebook, rich content on BNE’s Facebook page which attracted many shares and likes, and good personalisation by BL such as using a picture from their current exhibition as their Twitter picture. In terms of other social media, YouTube views were low and there was little engagement on Tumblr or Pinterest, although Library of Congress’ creative commons images on Flickr were popular. Nick emphasised that fresh engaging content is vital, especially for Facebook and that we must find a balance between what people expect and what we can achieve. In response to customer feedback, Taylor & Francis ebooks have introduced new functionality which means you do not have to wait for a full PDF download to start reading an ebook. You now have a choice of ways to access both DRM-free and DRM-protected titles. This has meant some changes to the way users open Taylor & Francis ebooks. The Open and Read button has been changed to Access. When this is clicked, a pop-up will offer further options. Users are able to choose whether they want to access the content instantaneously, or wait a little longer for a full PDF download. Most of our ebooks are DRM-free, which means that they allow unlimited concurrent users and there are no print/copy/paste/access restrictions but full copyright law applies. Some of our ebooks are DRM-protected, which means that they allow 20 or 50 concurrent users and there are restrictions on the amount that can be copied and printed. For DRM-protected titles, you will need to choose ‘standard access’ to open a PDF in order to copy and/or print. You can choose ‘download a copy’ to download an ebook for 3 days, but it is not possible to copy or print from a downloaded copy. For more details about the restrictions on DRM-protected titles see the ebooks@cambridge tips and instructions. If you have any comments or queries, please let the ebooks@cambridge team know on ebooks@lib.cam.ac.uk or comment on this blog. Want to download a Dawsonera ebook? You can now choose whether to download it for 1 day or 2 days. Previously it was only possible to download for 1 day. Once the download period is over, you can download the ebook again if you need to. 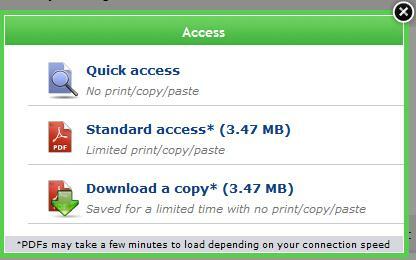 The option to download for 2 days has been introduced on a trial period following feedback from users. Dawsonera ebooks come with a number of credits (uses) per year and each day of download uses up one credit. The ebooks@cambridge team will monitor the resulting credit usage, and may revert back to 1 day downloads if necessary. 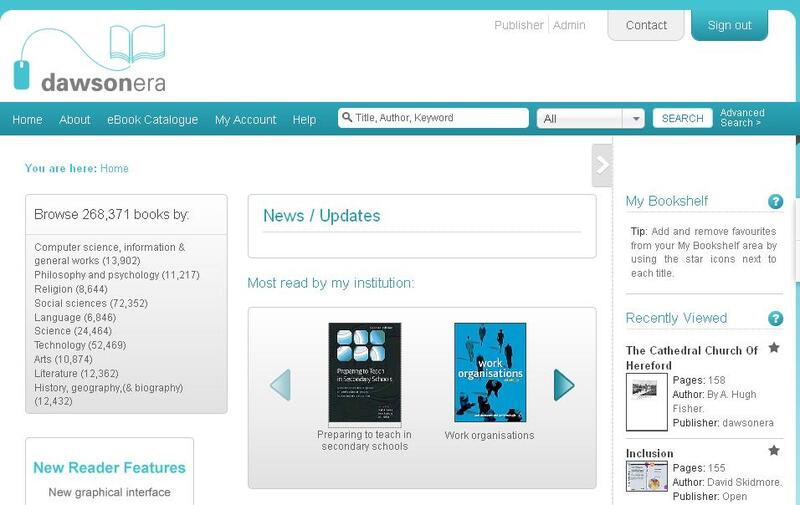 Dawsonera ebooks can all be found via LibrarySearch or from the Dawsonera platform. Please note that there are issues with display and functionality on the newly refreshed Dawsonera platform using Internet Explorer 8, which may prevent the option to select a 2 day download from appearing. It is recommended that you use a different browser, such as Firefox or Chrome. If you have any comments or queries, please let the ebooks@cambridge team know on ebooks@lib.cam.ac.uk. Searching and browsing has been improved so you can now refine your results by year of publication (using the sliding bar), category (subject) and publisher. You can now save searches and set up a search alert to be notified by email about new content that matches your search. You can now add your favourite ebooks to your bookshelf by clicking the star icon so it turns yellow. When viewing an ebook you can now use the slider to move through the ebook. When viewing an ebook, hover over the print or copy icon to see how many pages can be printed and copied. The green bar will change to yellow, then red as you near the limit of allowed pages. For owned content the ‘Read online’ and ‘Download’ buttons have been replaced by icons. For unowned content you will see icons for ‘5 minute preview’ and ‘Suggest for purchase’. dawsonera have produced some tutorial videos about the new site, which can be accessed from the help page. They include how to download from an ebook and how to print from an ebook. Note: Users of Internet Explorer 8 may find that some aspects of the site do not display correctly and you may need to scroll across to find the read online and download icons. If you have any feedback or questions about the new dawsonera platform please contact the ebooks@cambridge team on ebooks@lib.cam.ac.uk or comment on this blog post. For your reading pleasure, we have 41 new ebooks on the CREDO Reference platform. Thanks to the University Library for funding the purchase. 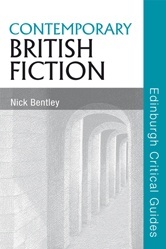 This includes 9 titles in the Edinburgh Critical Guides to Literature series, several Routledge Handbooks in Education, a Routledge Companion in Philosophy and 13 Longman Companions in History. 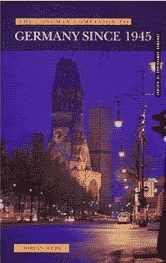 So if you’re interested in History, how about trying the Longman Companion to Germany since 1945. 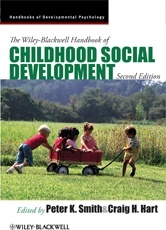 If Education is your thing then you might like the Wiley-Blackwell Handbook of child social development. 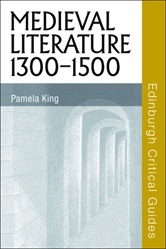 If you’re feeling literary, why not try Medieval literature 1300-1500 or Contemporary British fiction? 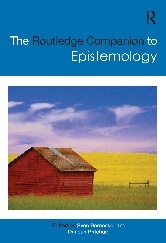 For the philosophists among you, there’s the Routledge Companion to epistemology. All the ebooks can be found by searching LibrarySearch, and can also be accessed from the following link http://ezproxy.lib.cam.ac.uk:2048/login?url=http://www.credoreference.com (you’ll need a Raven password off campus). All are available for unlimited simultaneous users. Happy Easter and enjoy reading! The ebooks@cambridge Advisory Group is holding a meeting for Faculty and Departmental librarians next Tuesday, 5th March. There will be an update from the Advisory Group, Hernan Geberovich from Cambridge University Press will be talking about CUP ebooks, you can hear about the FDL options for ebook acquisition, and Andy Priestner will do a session on ebooks futures. This is an opportunity to ask questions about ebooks and ebooks@cambridge, give feedback to the Advisory Group from your library, and join in the discussions which will help to shape the service of the future. Please do come along or send a representative from your library. University Library staff are also very welcome to attend. Time: 2pm start. The meeting is expected to last 1.5 – 2 hours. 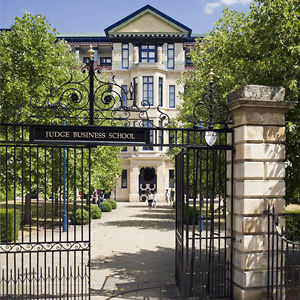 Directions to the Judge Business School are available. The sites for Cambridge Companions Online, Cambridge Histories Online and Shakespeare Survey Online will be updated on 31st January 2013. Following customer feedback, the new sites have a clearer look and improved functionality. All URLs and DOIs including at title and chapter level will be redirected by CUP from 31st January so libraries do not need to change any links in MARC records or reading lists, and any links that students have saved will still work. For further information see the FAQs put together by CUP. 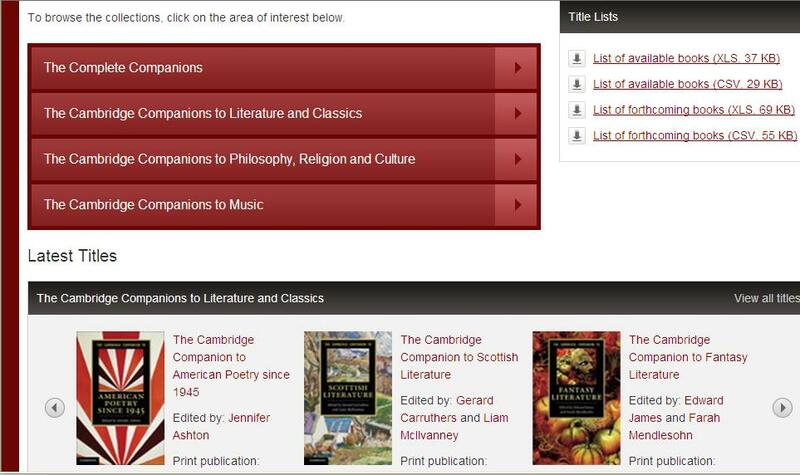 Cambridge Books Online is also due a site redesign on 31st January, with improved user interface including a featured titles display. 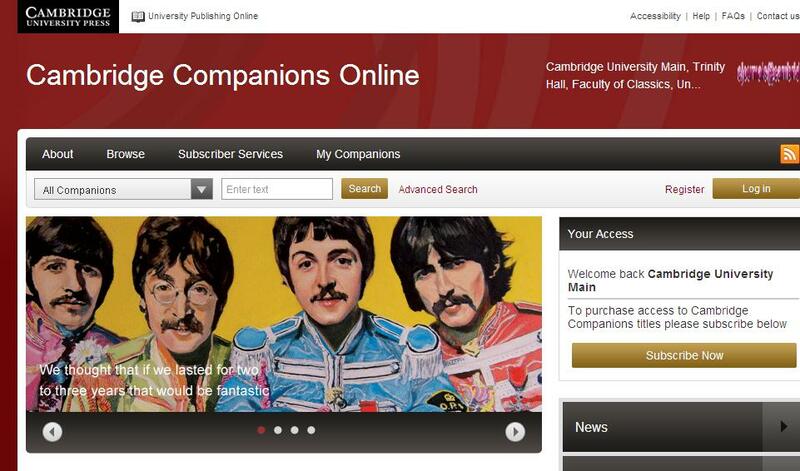 The redesigned site will look more like the new Cambridge Companions Online, Cambridge Histories Online and Shakespeare Survey Online sites. Catherine Reid, Jayne Kelly and Rhiannon Taylor are going mobile again this term and will be holding informal drop-in sessions on finding, accessing and downloading ebooks. These events are aimed at students, academics and librarians across the University. If you want to know more about how to find the ebooks we have in our collection, or want to download an ebook onto an iPad, Smartphone or e-reader, why not come along and ask us your questions? There will be a chance to see downloading to mobile devices in action, and please bring your own mobile devices with you. Wifi will be available. Come along to the UL North Reading Room between 11am and 12pm on Tuesday the 22nd January. If you can’t make this date, we will be holding further sessions in Psychology (7th February) and Law (date tbc) – more details to follow. As some of you may have seen on the eresources etc blog, Springer have launched a new platform (http://link.springer.com) and are in the process of migrating users to it. UK users are scheduled to be migrated to the new platform during the course of today or tomorrow. While migration for libraries is expected to be seamless, individual account holders’ accounts are not being migrated so if you have an individual account you should go to link.springer.com and set up a new profile/account. New features of the platform include the ‘Look inside’ option which allows users to preview two pages of a book chapter that we do not have full access to. When searching there is the option to narrow search results to include only content with full access, or to broaden results to include content that we do not have access to. 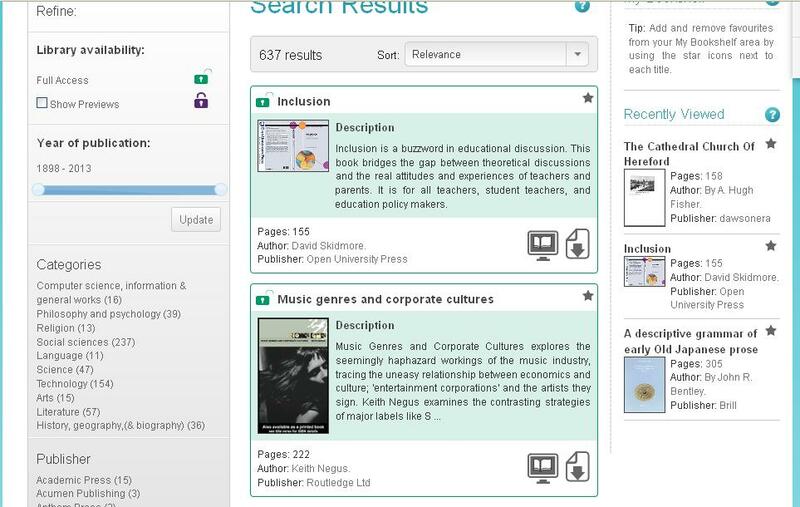 The ‘Recent Activity’ section allows users to see what is being read by University of Cambridge users. Chapters may be read online or downloaded as pdf files to a variety of devices, and the new site is mobile optimized. Librarians might be interested in the free training webinars or the first few slides of the SpringerLink powerpoint, which are both available here. If you have any comments or notice anything that it is not right, please let us know. Having problems with finding, accessing or downloading ebooks and can’t make it to the drop in sessions? Want some ebooks help that you can point your students to? We have created some online training videos which are on the ebooks@cambridge YouTube channel and now linked to from the ebooks@cambridge website. The videos work best if you click the cog icon underneath the video in YouTube and increase the quality. Learn how to find ebooks in LibrarySearch and connect to them, as well as how to find your way around and download ebooks on the Dawsonera platform. Learn how to find ebooks in LibrarySearch and connect to them, as well as how to find your way around the MyiLibrary platform. Learn how to download MyiLibrary ebooks. Learn how to find those ebooks that don’t appear in LibrarySearch. If you have feedback on the videos or if you would like to see video tutorials on other aspects of ebooks or other ebook platforms, please let us know.